My June Summer Strength accountability group kicks off on Monday! 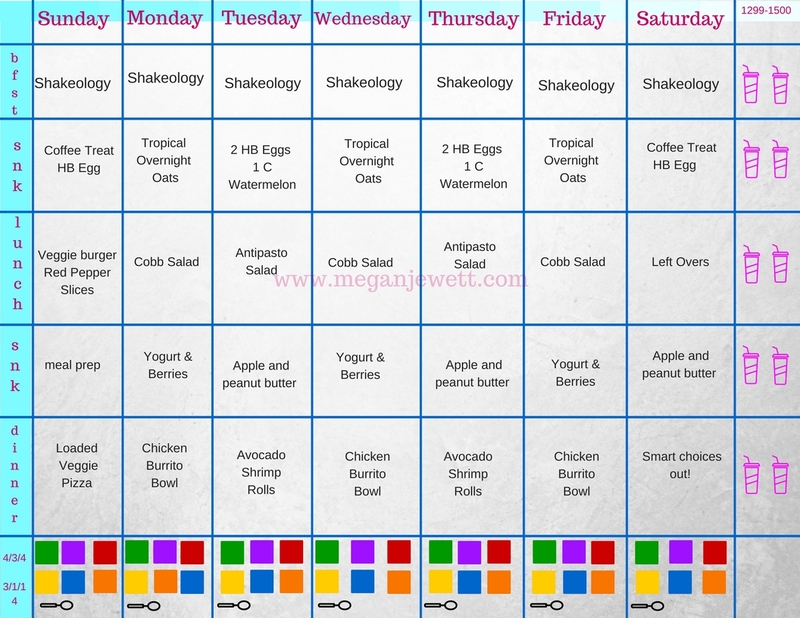 Here is the week 1 meal plan for the 1299-1500 calorie bracket. Generally, I have to tweak meal plans to suit my own habits and schedule, but using ones that are already done is completely fine! If you prefer Shakeology as an afternoon snack--go for it. Whatever works for you. Out! Make smart choices at a restaurant--this is a lifestyle, not a "diet." Prep the Chicken Burrito Bowls. Microwave frozen cauliflower rice per package instructions. Meanwhile, de-bone the rotisserie chicken and shred the meat. Once cauliflower rice is warm and chicken is shredded, assemble the burrito bowls. 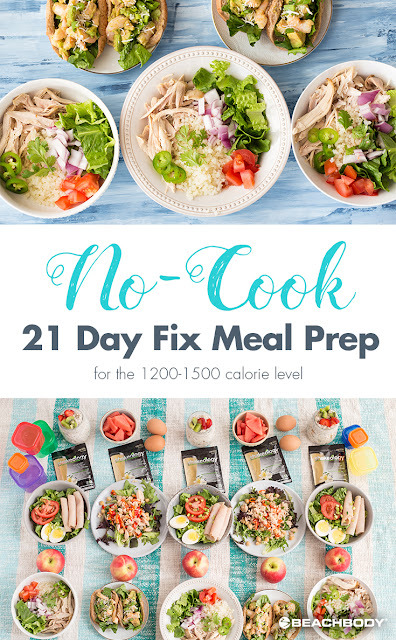 To 3 large storage containers, add ½ cup cauliflower rice, ¾ cup shredded rotisserie chicken, ½ cup chopped romaine lettuce, ¼ cup chopped tomato, ¼ cup chopped red onion, 2 Tbsp. chopped cilantro, and 1 Tbsp. sliced jalapeño. When ready to eat, top each salad with ¼ diced avocado and 1 tsp. olive oil. Prep Watermelon and Eggs. Cut 2 cups watermelon into bite-sized pieces. Divide between 2 storage containers. Serve with 2 hard-boiled eggs. Prep the yogurt and berries snack: measure out one red container of plain Greek yogurt into a storage container. Add 1 purple container of frozen mixed berries on top and store in the fridge.